Ladybug Girl is such a delightful literary character — my girls love snuggling up with me on the couch and reading about her latest adventures. 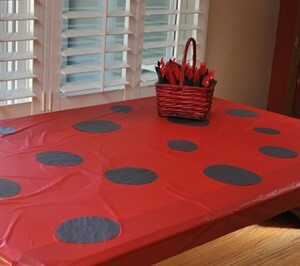 With my daughter’s birthday coming up in December, I’ve been scouting out ideas for a Ladybug Girl party. Ladybugs might be more traditionally a summer bug, but a little snow never stops Ladybug Girl and my winter girl isn’t bothered by the chilly weather either, as long as she gets to celebrate in red and black. 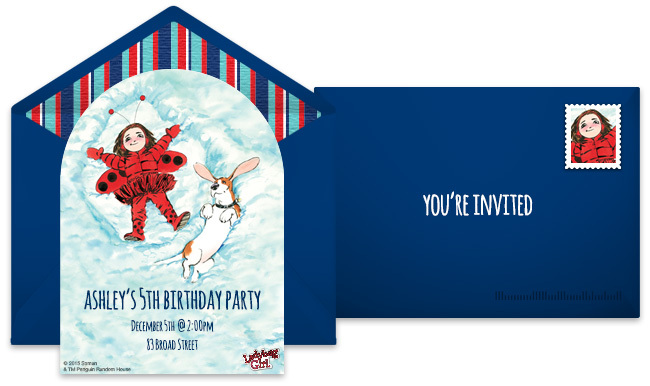 I love the attention to detail on these Punchbowl invites, from the lined envelopes to the shaped cards. And Ladybug Girl making snow angels is just perfect for this party. 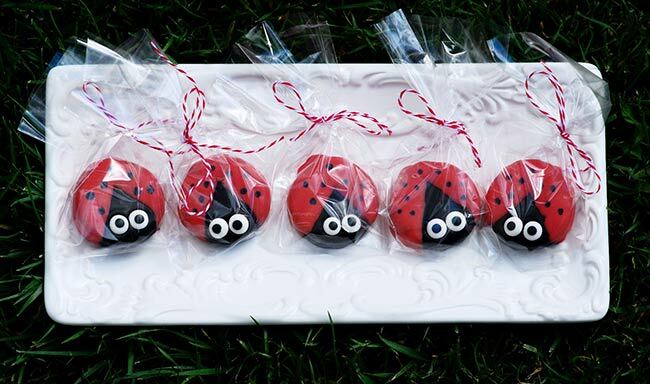 You can serve these during the party or send them home as individually wrapped favors, but either way, they are basically the cutest cookie I’ve ever seen. 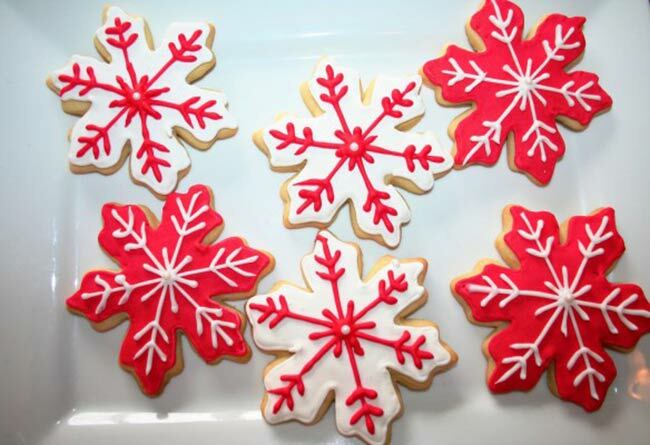 What could be more festive than a sugar cookie decorated like a snowflake? 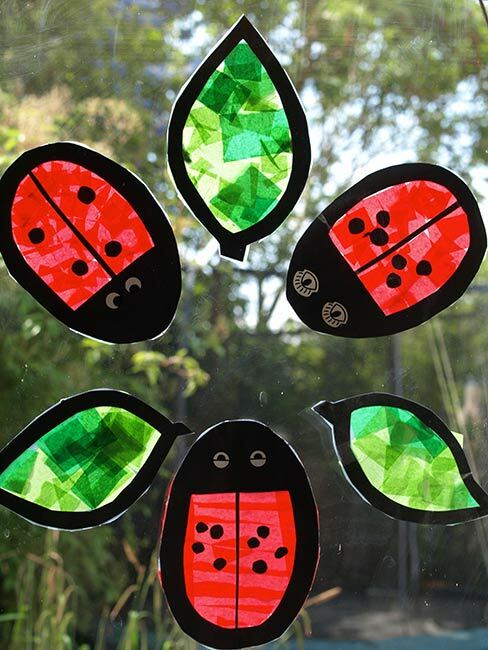 These ones are extra perfect for Ladybug Girl since they are red! 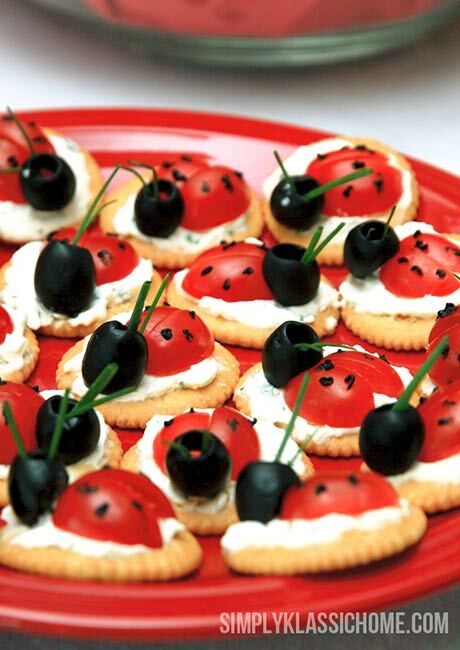 It’s always nice to have a non-sweet treat at a party, and these ladybug crackers made with black olives and tomatoes and cream cheese couldn’t be cuter if they tried. 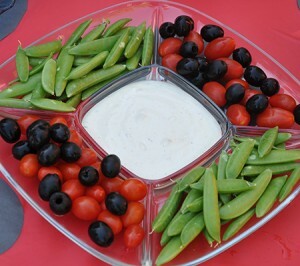 How cute is this veggie tray with black and red crudités and snap peas that look like summer grass? The red wax wrappers on this kid-friendly cheese make the perfect canvas for decorative (and tasty!) 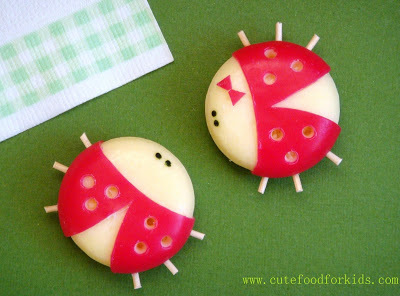 little ladybug snacks. What’s a party without some cake? 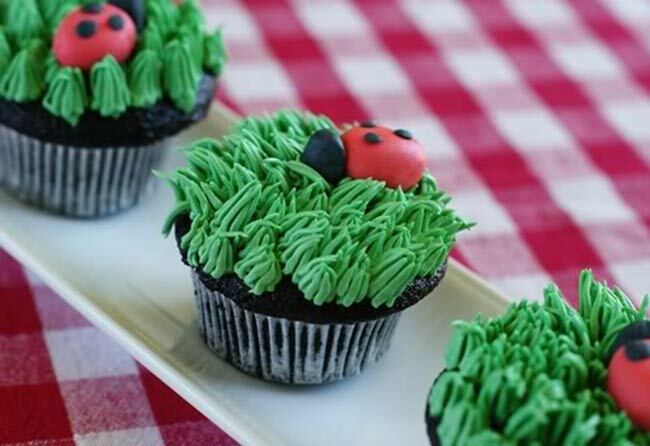 These ladybug cupcakes make the perfect focal point for your food table and are just too darling to eat (well, almost). 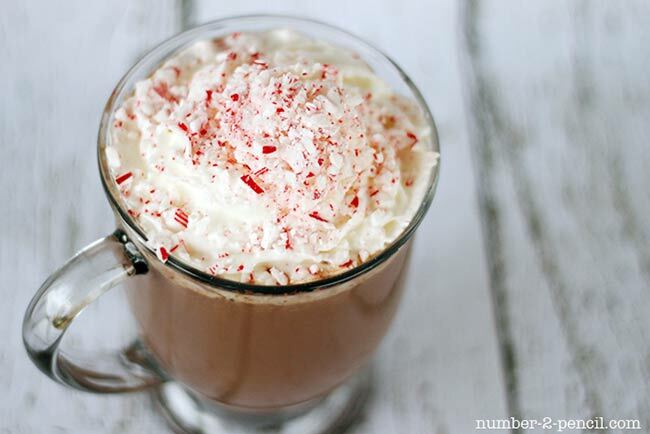 Hot chocolate is the obvious beverage choice for this party, and a little sprinkle of crushed candy cane not only makes it delicious, but also pulls in the red perfectly! A red tablecloth with some black dots makes an eye-catching place to set out the food. And it couldn’t be easier! 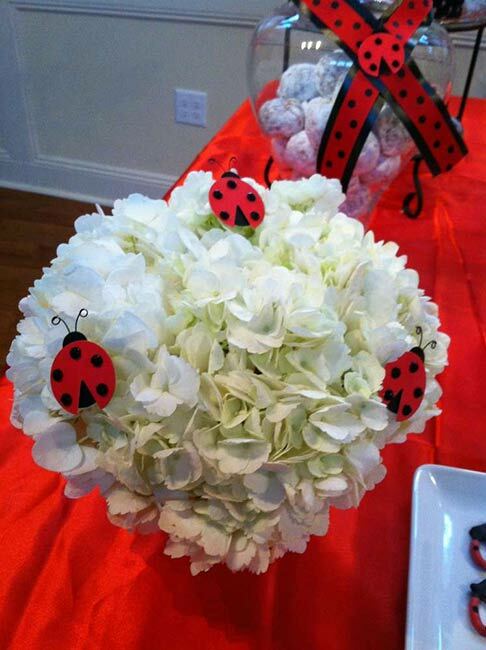 Flowers are my favorite way to decorate for a party — add a few paper ladybugs to your bouquets for an extra little touch. You can make these beforehand for the kids (and grown-ups!) 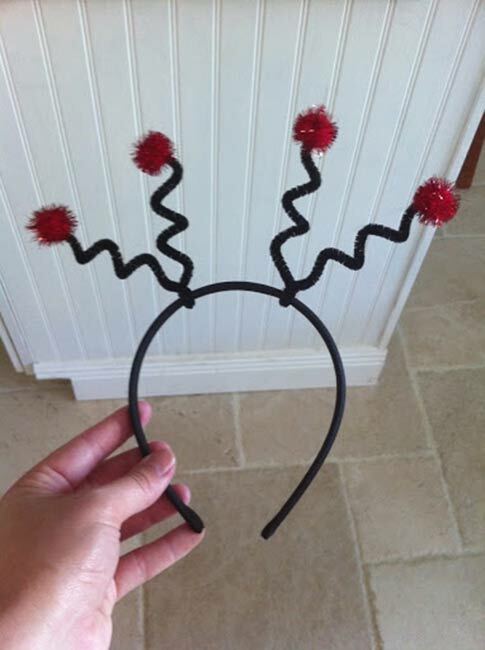 to wear during the party or set out the supplies and let everyone make their own. I really love a suncatcher in the winter when you want all the light you can get. These are simple to make during the party and a fun favor to help your guests remember the festivities all winter long! These look impressive but are actually surprisingly easy to pull off. 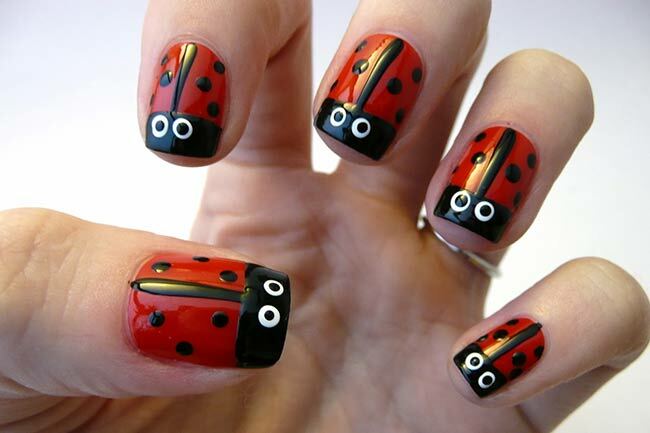 Set up a little nail station and give your guests a ladybug manicure! 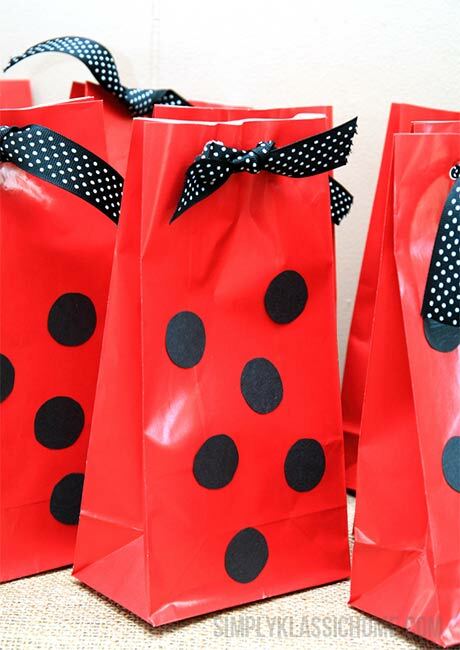 A goody bag that ties into the ladybug theme couldn’t be easier — just snag some red bags and then use black stickers (or a black marker!) to put black dots on them. What other characters would your kiddos love to see at their next party? Let us know in the comments below.